The creator of the beloved open world games says all he had to do was ask. “They felt safe giving me the license to make the next one,” Yu Suzuki told me yesterday. Really, who else was Sega going to give it to? Usually, when folks want to revive long-dormant video game franchises, they have to struggle through thorny legal and business dealings to figure out who allowed to do what. But to hear Yu Suzuki tell it, it was pretty easy to get the license to make Shenmue III from Sega. “They felt safe giving me the license to make the next one,” he told me yesterday. I spoke with Suzuki yesterday in a meeting room at Sony’s E3 booth to discuss the surprise announcement of a Kickstarter to make Shenmue III a reality, and to ask him what he wants to accomplish with the game that fans have been waiting so long for. “My company YSnet, we officially approached Sega a while ago, asking for the approval for the licenses,” Suzuki continued. “I was at Sega when Shenmue was made, as you may know, and they felt safe giving me the license to make the next one. 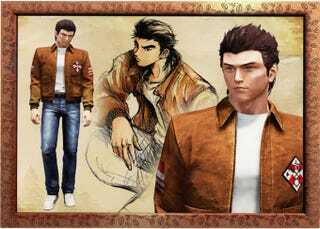 They’re the reason why I was even able to make Shenmue.” When asked if Sega would be getting any percentage of profits from the eventual release of Shenmue III, Suzuki said that he couldn’t talk about the details of the deal he struck with Sega.